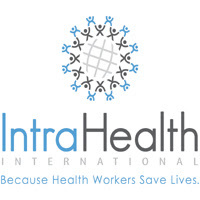 Overview: At IntraHealth, we are a global team of creative, committed humanitarians on a mission. We are advocates, technologists, health workers, and communicators. Program officers, finance experts, and technical leaders. We are passionate and diverse. And we’re united in our belief that everyone everywhere should have the health care they need to thrive. That’s why we work every day to improve the performance of health workers around the world and strengthen the systems in which they work. IntraHealth International Tanzania office is soliciting applications from suitable candidate to fill in the Administrative and Operations Officer Position for IntraHealth Tohara Plus Project. The position will be based in Kagera. The Administrative and Operations Officer provides project support and administrative functions to the CDC funded Tanzania Tohara Plus project. The incumbent of this position will work under the overall supervision of the Regional Technical Manager. IntraHealth International Tanzania office is soliciting applications from suitable candidate to fill in Compliance Manager position for Tohara Plus Project. This position will be based in Mwanza. The Compliance Manager will work collaboratively with the Country Office Operations and Programs team to ensure compliance with organizational policies and procedures, donor's rules and regulations, and the statutory mandates. S/he will make sure programmatic, financial, operational and grant management processes meet requirements, and ensure weaknesses are improved and that best practices are adopted. This position reports to Regional Sr. Risk Manager. 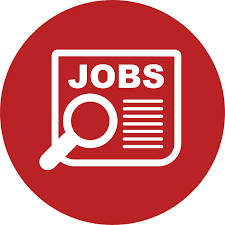 IntraHealth International Tanzania office is soliciting applications from suitable candidate to fill in the Finance Officer Position for IntraHealth Tohara Plus Project. The position will be based in Kagera. The Finance Officer for the CDC-funded Tohara Plus Project in Kagera works closely with the Senior Finance Officer to manage the IntraHealth/Tohara Plus Project finance including project budgeting, financial monitoring and periodic financial reporting. S/he ensures that all the financial activities are carried out in compliance with US, IntraHealth policies and Tanzanian government laws and regulations. The Technical Manager will provide an oversight of all technical issues related to Voluntary Medical Male Circumcision (VMMC) and Early Infant Male Circumcision (EIMC) services per National, PEPFAR and WHO standards at the regional level. The technical manager will be responsible for providing technical guidance to the technical advisors both on programmatic and in clinical direction in implementation and scale up of VMMC and EIMC activities while ensuring technical quality and efficiency during scale up process. He/She will play a leading role in supporting institutionalization of the national VMMC CQI framework and data quality systems at the regional level within the IntraHealth scope, so as to achieve greatest coverage and impact as possible.